The Dexter SG163-9SC 9” offset scalloped bait cutter goes through fresh and frozen bait with ease. Its offset design is ergonomically shaped to keep your hand up off the cutting board. It features our Sofgrip handle that is soft to the grip and provides great control along with slip resistance. It features our proprietary High Carbon, High Alloy, Stain free DEXSTEEL. 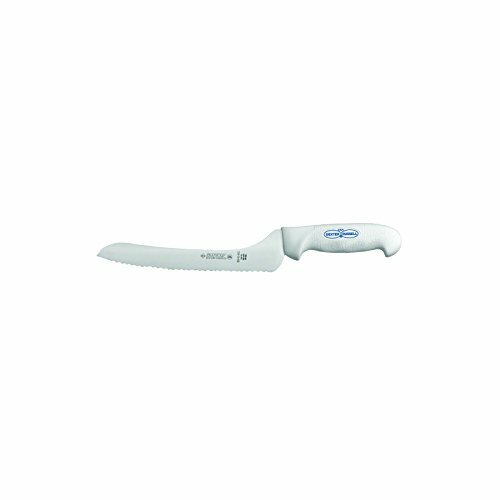 This knife is NSF certified and is made in the U.S.A.Care: Hand wash and dry. Avoid contact with other metals in a moist environment.